Former Civil Litigation Attorney turned Master Spiritual Teacher, Esperanza Universal, shares Spiritual gifts in her uniquely powerful, compassionate and crystal clear way. You’ve heard of the “Law of Attraction, “which is just one of the many Spiritual Laws in effect. Can You Be Spiritual and Still Be Angry? shows us how the Law of Reflection works to help us attract what we DO want. connected relationships you really want. What would the world look like if we created from a Heart of Love instead of from fear? Joy, Freedom and Abundance they truly Desire and absolutely Deserve. always dreamed of, but sometimes have trouble finding or keeping. The key to attracting relationships that fulfill you, from a Master Spiritual Teacher. Sacred Law and Sacred Truths with the world. this knowledge available to everyone. 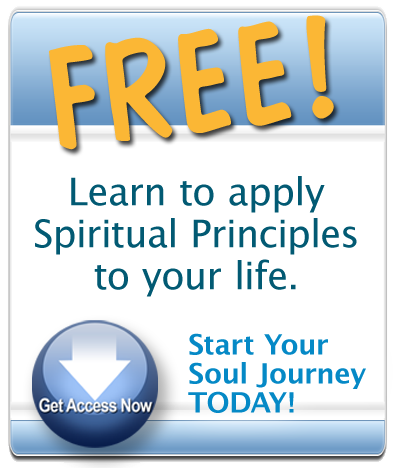 Did you know that Spiritual Laws run your life whether you know about them or not? Yes, this is true! The list goes on…Would you like to learn how to turn your life around and have Spiritual Principles work to your advantage instead? It's quite simple – listen! Being the “Awesome You”, Even with Allergies, Too! Are You Letting Your Past Control Your Future? How to Experience and Flow Your feelings and create the Results you want! Spirituality and Business – Are They In Harmony? Esperanza graduated with a degree in Psychology went on to a Masters Degree and ultimately received a Law Degree. As a Civil Litigator for many years, she specialized in land, business and labor law. Her dream was to become the first Hispanic Congresswoman when she began to see Angels in the Courtroom. At first shocked and bewildered, she soon thereafter earned a Metaphysical degree and became a Spiritual Teacher. She now teaches 'Unconditional Love' and 'Individual Freedom' to many throughout the world. Click here for more information about S.O.U.L. The S.O.U.L. Institute teaches Unconditional Love and Individual Freedom. We teach you to manifest this in every area of your life. We work with individuals, groups, and businesses. Copyright © 2010-2017 Esperanza Universal - All Rights Reserved.